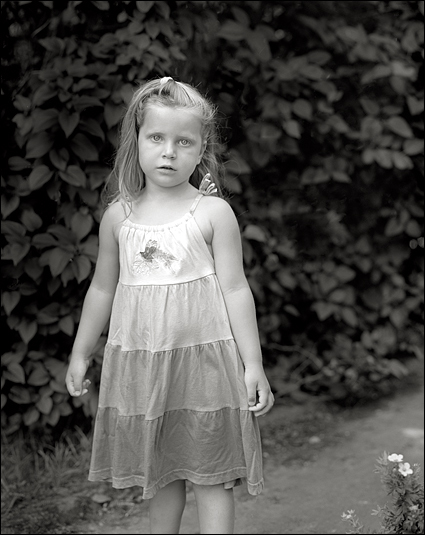 Moa is the youngest child I have ever photographed with my large-format camera. In this picture she is only three years old. Normally it takes around ten to twenty seconds until I have focused fully and can take the image. During this time, the child may not move at all. When I photographed Moa, she had hard time standing still for so long time (which is hard for any three-year-old kid). It happend a few times that when I was just about to press the shutter, Moa ran away to show her mother something. I'm amazed that I could get any image with superb focus on Moa, but we managed and here is the result of one shot.